The tradition of associating legal documents with the color blue originated in England several hundred years ago. In the United States, it began in the 19th century when, in jurisdictions such as New York, the word blueback designated the blue cover of legal documents. 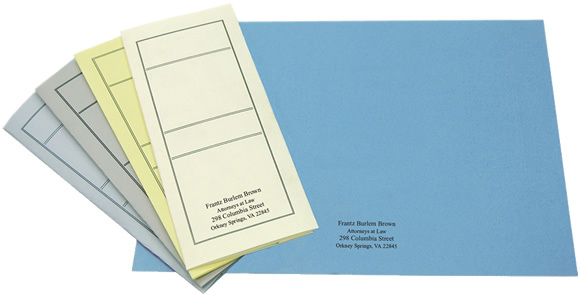 Technically called a litigation back, the blueback is imprinted with the caption of the matter and includes several blank forms for proof of service, certification, and verification, to be used as needed in the particular case. It is typically customized with the card of the law firm or pro se party presenting the documents within. The public became familiar with bluebacks through seeing the blue-covered documents in courtrooms or used as props in films and television legal dramas. Over the years the meaning of blueback has been expanded to include any document cover that houses legal documents such as contracts, powers of attorney, wills, and so on. Some attorneys, however. use colors other than blue for their legal covers to distinguish their documents from those of other attorneys. Over the years, the word blueback has also come to mean certain legal documents whose cover is not necessarily blue. The Commonwealth of Pennsylvania, for instance, requires a document called ”The Standard Blueback Contract” for services exceeding $19,100 but does not stipulate that it have a blue cover. 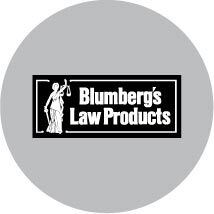 Today, Blumberg’s provides blue covered envelopes as well as linen and manuscript covers for use in litigation and transactional documents. View our large selection of legal covers (bluebacks) here. Previous PostPrevious What is the difference between stock certificates and ownership certificates?